Trigun takes place in the distant future on a deserted planet. Vash the Stampede is a gunfighter with a legend so ruthless that he has a $$60,000,000,000 bounty on his head. Entire towns are evacuated upon hearing rumors of his arrival. However, the real Vash the Stampede is not the same man that rumor portrays him to be. The enigmatic and conflicted lead character in Trigun is actually more heroic in nature, and at times a complete and utter idiot. 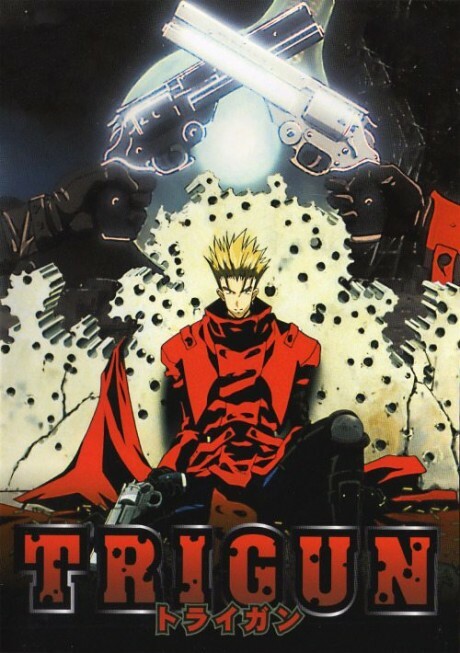 As a time-capsule of the 90s, Trigun is worth the watch. SMSWTA? Yes. Pacifist or: how I learned to make peace and love to people.